This course is designed to provide international participants a better understanding of how the United States is able to regionalize and control avian influenza outbreaks through a coordinated system of planning, incident command management structures, surveillance of wild birds and poultry, quarantine, biosecurity, depopulation, disposal, decontamination, and multi-jurisdictional cooperation. Develop a key understanding of the structure and organization of the US poultry industry including the meat bird and table egg layer sectors. Understand the key technical methods used in the United States to successfully plan for and respond to a poultry disease outbreak, including incident command system, surveillance of wild birds and commercial poultry, quarantine, biosecurity, depopulation, disposal, disinfection, and multi-jurisdictional cooperation. Develop confidence in making regionalization determinations about U.S. outbreaks. Develop relationships with US poultry industry, academia and government personnel. 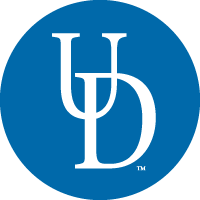 The PDOMR training program is an intensive three day program, taught in English, held at the University of Delaware’s College of Agriculture and Natural Resources in Newark, Delaware. Newark is located half way between New York City and Washington, D.C., and at the northern end of the Delmarva Peninsula, one of the largest poultry production areas in the United States. Using a mixture of seminar, discussions, and hands-on technology demonstrations, the Certificate program’s instructors will cover: OIE reportable poultry diseases including avian influenza virus,, surveillance, biosecurity, outbreak response and control, incident command structures, protecting the responder, depopulation, disposal, composting, decontamination, the US poultry industry, the nature and importance of regionalization and the economic impact of animal disease outbreaks. The training program will extensively use the experiences gained during the 2014 – 2015 Highly Pathogenic Avian Influenza and other outbreaks. The course also utilizes the “Delaware model,” which emphasizes close cooperation between government, industry and educational institutions to manage avian influenza outbreaks utilizing best management practices and technologies related to controlling outbreaks of avian influenza and other catastrophic disease outbreaks. The Certificate is a joint program of the University of Delaware’s Avian Biosciences Center (ABC) in the College of Agriculture and Natural Resources (CANR) and the Division of Professional and Continuing Studies (PCS).